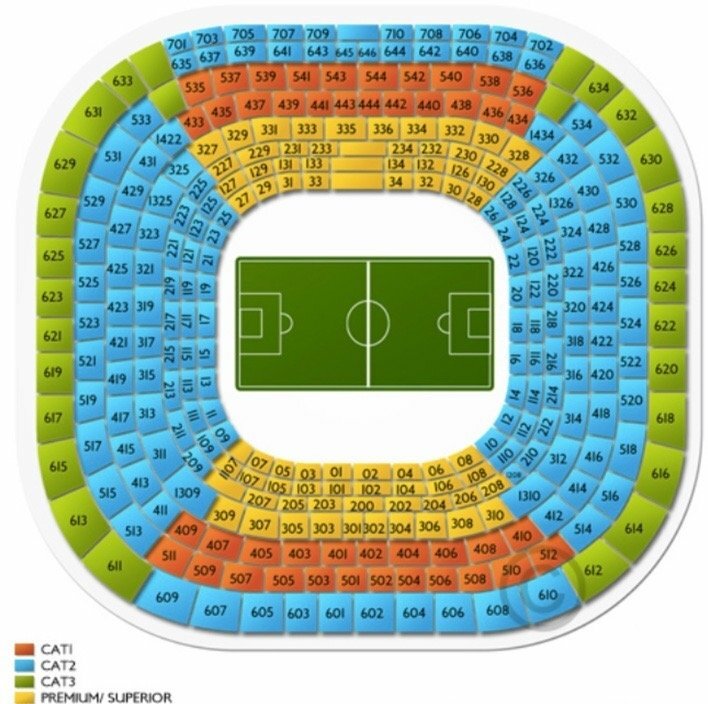 Get Premium El Clasico Tickets & Travel Packages Today! El Clásico is the name given in football to any match between fierce rivals Real Madrid C.F. and F.C. Barcelona. The rivalry is regarded as one of the biggest in world sport. Twice a year these two teams meet, alternating between Camp Nou and Santiago Bernabéu. The two clubs are among the richest and most successful football clubs in the world; in 2014 they were ranked the world’s two most valuable sports teams. Both clubs have a global fan base; they are the world’s two most followed sports teams on social media. Accommodations at one of our Standard or Superior Hotel Properties. Explore the host city at leisure. We recommend a VIP guided tour of Santiago Bernabéu Stadium. Return to your hotel, relax, and prepare for dinner at one of the city’s top restaurants. Return to your hotel, relax and prepare for dinner at your choice of restaurant. Depart for a half day private guided tour of Madrid. Return to hotel, relax and prepare for dinner at one of Madrid’s top restaurants. In the heart of Madrid, just five minutes from the Museo del Prado, where Hieronymus Bosch’s masterpiece, The Garden of Earthly Delights, hangs among the paintings of Vélasquez, Titian and Rubens, another garden of delights awaits. The Hotel Orfila, a small palace built in 1886, has the feel of an art gallery, with its period furniture, feature marble and superb trompe l’oeil effects in the green garden courtyard. In the 1920s, the hotel was made famous by the plays staged within its walls. Today, its flowered patio invites you to dine under the stars and its tea room is imbued with English chic. This is an ideal place from which to explore Madrid at its own rhythm. This luxury hotel is located in the heart of Madrid, within the Art Triangle. The Parliament is across the road, and the Royal Palace and Opera House within walking distance. The Westin Palace offers elegant facilities only 300 m from the Prado, Thyssen and Reina Sofia Museums.